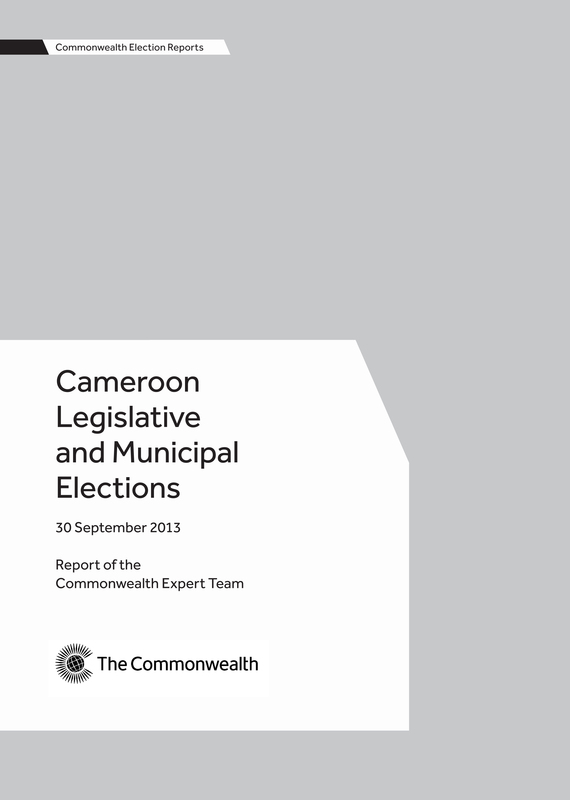 The report of the Commonwealth Expert Team for Cameroon’s Legislative and Municipal Elections, held 30 September 2013. The Team was chaired by Mr Irfan Abdool Rahman, Electoral Commissioner of Mauritius and Electoral Commissioner and was comprised of two experts in total. The Commonwealth Expert Team found that the election campaign and polling day were largely peaceful, with commendable efforts made to meet the benchmarks for democratic elections. The new biometric registration marked a substantial improvement in the transparency and credibility of the electoral process. There remain some shortcomings in relation to the distribution and collection of biometric voters’ cards which need to be addressed for future elections. The 2014 Namibia elections were historic as they were the first elections in Africa to use entirely electronic voting. The team found that, despite a number of technical glitches, which caused significant delays in the overall voting process, the elections were competitive, met key democratic benchmarks and were generally well administered. The Commonwealth Expert Team found that the elections were peaceful, credible and transparent and exemplified Botswana’s commitment to democratic values and principles. They made a number of recommendations to help strengthen the process further. The report of the Commonwealth Expert Team for Rwanda’s Legislative Elections, held 16–18 September 2013. The Team was led by Mr Tiro Seeletso, Secretary to the Independent Electoral Commission of Botswana, and was comprised of 2 eminent persons.